#224 - THE BEST, WORST, WEIRDEST & WILDEST MOMENTS OF 2018! Hosts Cam Smith and Tyler Orton bid farewell to 2018 in high style with another fun reflection on the passing year's most memorable and wacky podcast moments. 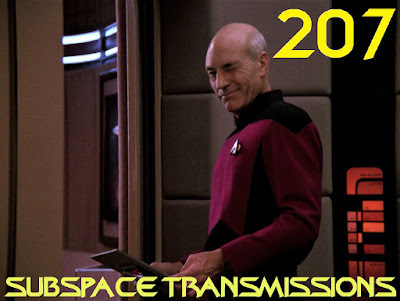 They also look ahead to the exciting events in Trekdom waiting just around the corner in 2019, such as Discovery's second season, Lower Decks, the Picard spin-off and more! 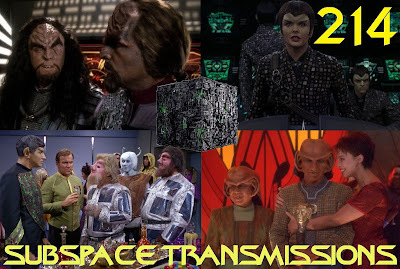 #223 - REDISCOVERING DISCOVERY S1... ON BLU-RAY! Hosts Cam Smith and Tyler Orton break open their new Discovery Blu-rays and embark on an in-depth episode-by-episode revisit of the inaugural season. In addition, the duo weigh in on the set's special features and voice their hopes for Burnham and company's upcoming return. Hosts Cam Smith and Tyler Orton break down the third Short Treks episode, which shines much needed light on Saru's backstory, and then address Picard and Star Trek 4 rumors and news. #221 - LET THAT CAPTAIN BE MY GUIDE! Hosts Cam Smith and Tyler Orton analyze the mentoring styles of each of the iconic captains, and their most profound professional relationships, in order to decide who excelled most at inspiring others. Hosts Cam Smith and Tyler Orton break down Voyager's 6th season finale/7th season premiere two-parter Unimatrix Zero, and debate whether a Section 31 Georgiou spin-off is a good idea. 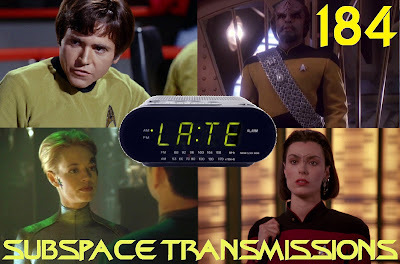 If the introductory Short Treks installment was a taste of the familiar, the latest effort proudly declares "and now for something completely different!" But is different a good thing? 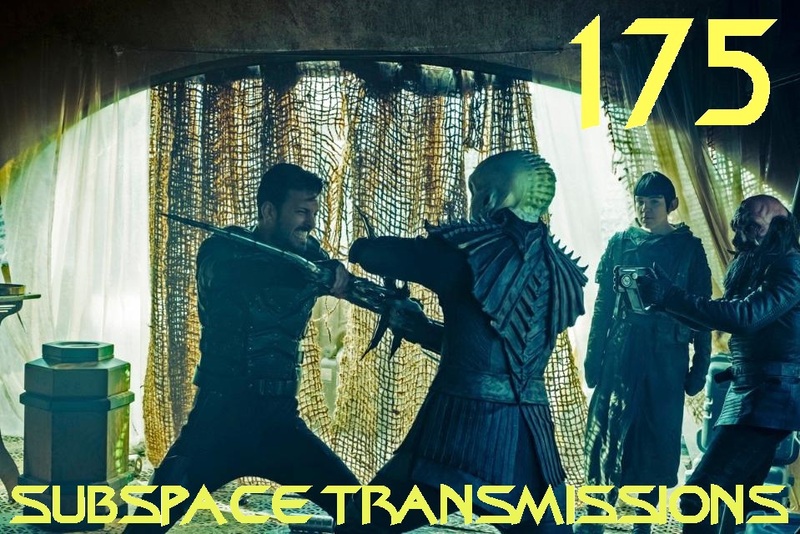 This week hosts Cam Smith and Tyler Orton dance up a storm while taking on the franchise's second bite-sized story, Calypso, which sees a stranger waking up aboard an abandoned Discovery 1000 years after the glory days of Burnham and crew. His only companion? The ship's newly sentient computer. So, does this unconventional Short Trek deliver where the previous one fell, um, short? And what mysteries does it introduce to Discovery? Plus, as an added bonus, the duo consider the current world of streaming content and debate who, between CBS and Lucasfilm, has the creative upper hand. 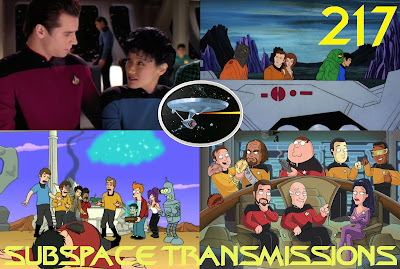 Now that Star Trek: Lower Decks is in the process of becoming a reality it's time to consider the doors animation opens for the franchise going forward, and the lessons learned from the attempts of yesteryear. This week hosts Cam Smith and Tyler Orton awkwardly exchange blank expressions while digging into the considerable potential of Trek's latest announced incarnation. What aliens would be cool to see? How could this comedic new venture play with canon? In addition, the duo take a look back at Star Trek: The Animated Series and highlight what worked, what didn't and which elements of the show would be worth bringing to Lower Decks. It's a concept employed time and time again in visual storytelling, both for its fun novelty factor as well as its cheap production costs. 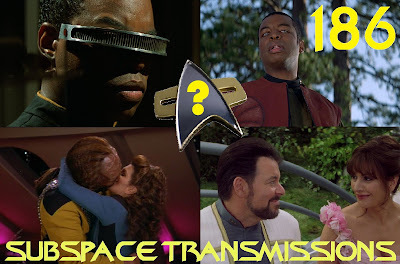 So what does Trek bring that's new or interesting to the popular conceit of body swapping? And which actors succeed best at portraying these new arrivals in their mortal form? This week hosts Cam Smith and Tyler Orton aren't feeling quite themselves as they consider the franchise's long and often off-the-wall weird history of infusing its iconic heroes with different eccentric personalities. 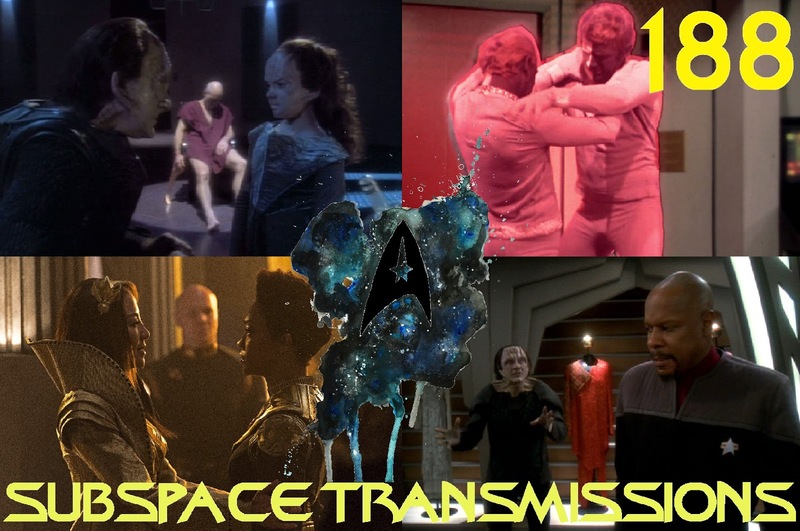 From Kirk and Spock's encounter with ancient aliens in Return to Tomorrow, to the hostage crisis of TNG's Power Play and the Doctor's experience occupying Seven of Nine, the duo cover all the bases, breaking down which episodes work and crowning some truly incredible acting MVPs. Look, when a creative team is tasked with cranking out 20-something television hours for years on end you're bound to wind up with the odd outside-the-norm diversion episode. The real question is: do these unconventional efforts nonetheless entertain? This week hosts Cam Smith and Tyler Orton are abandoning all their usual business in order to examine these intriguingly quirky franchise stories, which mostly toss aside their series leads in favor of exploring entirely new characters. From backdoor-pilot creation Gary Seven and his unflappable feline (?) friend Isis, to the tragic tale of Benny Russell and a pair of in-depth ancestor flashbacks, the duo break down these very unique installments and ponder whether they should have been further expanded upon. So we know Picard is returning soon, and that his series will be an ongoing one. But what does his universe even look like in the wake of the major events of DS9, Nemesis, Star Trek 2009 and so on? This week hosts Cam Smith and Tyler Orton join Starfleet's brightest and boldest in order to explore the current status of the Alpha Quadrant's most famous denizens and predict where the future may take them. 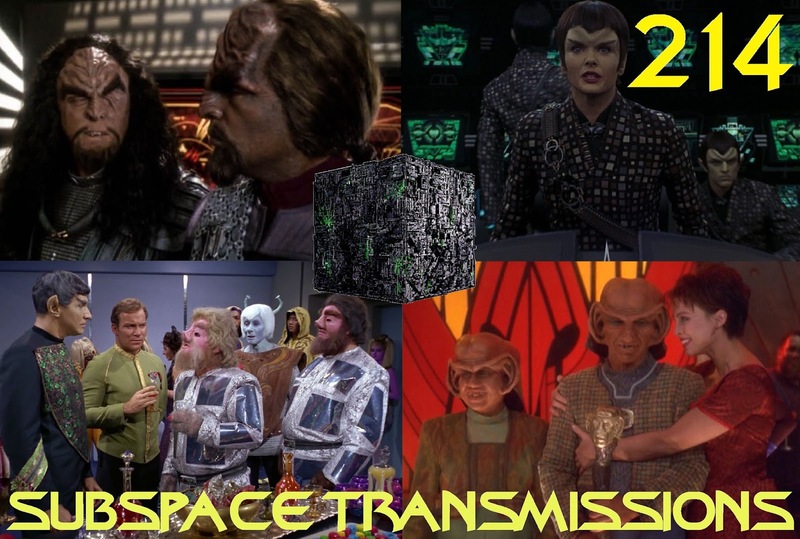 From post-Dominion War Cardassia and the Klingon Empire, to the now homeland-less Romulans and post-reform (?) Ferengi, the duo touch on all the major power players and strive to imagine how Picard may participate in their ongoing evolution. 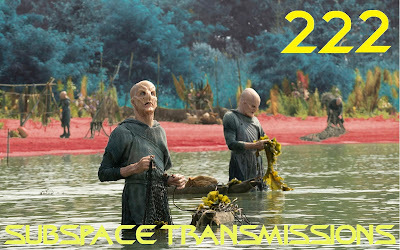 The second season of Discovery is right around the corner and excitement is starting to build anew! And what better way to prepare for Burnham and crew's triumphant return than by breaking down both the very first Short Treks episode as well as the show's latest splashy trailer? 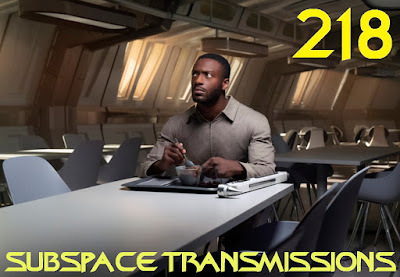 This week hosts Cam Smith and Tyler Orton turn off their invisibility cloaking long enough to review the franchise's first ever official short-form entry, Runaway, in which Tilly encounters a mysterious alien presence aboard the ship. Does this new bite-sized format work? And how successful is this brief adventure at amping up anticipation for the series' return? Plus, the duo geek out over DSC's high profile New York Comic Con trailer and weigh in on its teases of Spock, Pike, Number One, space angels and newly hairy Klingons! When fans recite their personal 'Greatest Star Trek Episodes of All Time' lists Voyager has a noticeable tendency to get short shrift. But is that really fair, considering the amount of genuine quality contained within its respectable seven season run? This week hosts Cam Smith and Tyler Orton are chasing coffee through nebulas as they celebrate their all-time favorite hours with the stranded crew, and attempt to nail down - through passionate debate and agonized decision-making - which single entry is the definitive Voyager story. 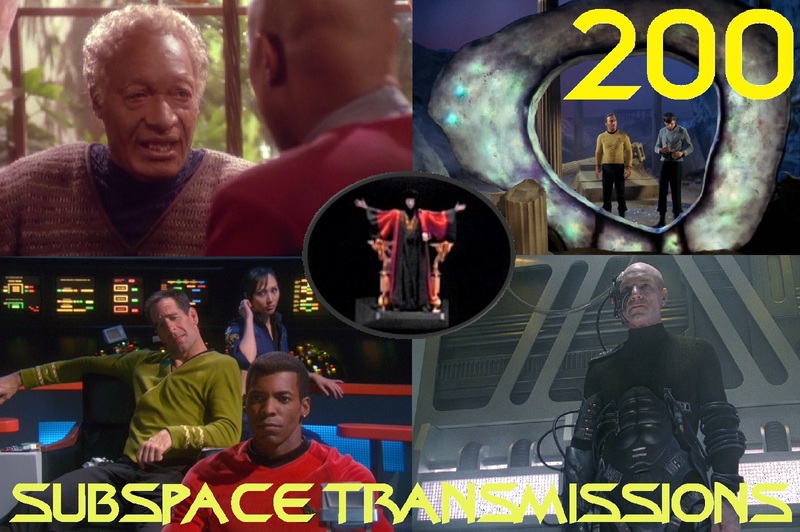 With iconic two-parters like Scorpion and Year of Hell facing off against powerhouses both dramatic (Blink of an Eye, Timeless) and comedic (Tinker Tenor Doctor Spy, Message in a Bottle) there are boundless options to consider as the duo boldly strive to champion the very best the Delta Quadrant has to offer! From their very first appearance the Ferengi have proved polarizing among Trek fans. While many find them to be amusing lampoons of Capitalist society, plenty of viewers regard them as being the television equivalent of nails on a blackboard. But is there genuine value to their journey, and the creative efforts to expand and explore them, over the past 30+ years? This week hosts Cam Smith and Tyler Orton take a break from sharpening their teeth in order to delve into the franchise's long, rocky history with these peculiar large-lobed beings. 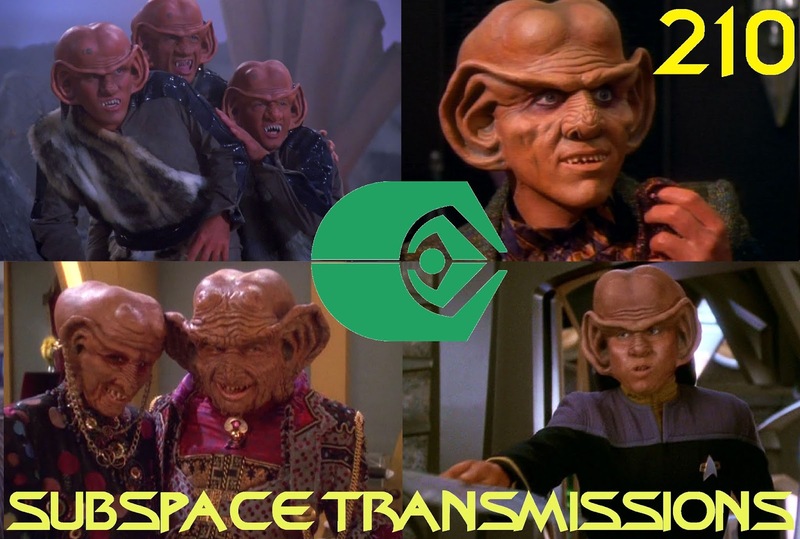 From their disastrous early positioning as TNG's new big bads, to their high profile evolution throughout Deep Space Nine, the duo leave no latinum strip uncounted while determining how figures like Quark, Zek, Ishka, Rom and Nog have altered our understanding of these aliens, and where the future may take them. After 52 years and six series it's pretty safe to say there isn't a whole lot of mystery left regarding the daily life of a senior Starfleet officer. 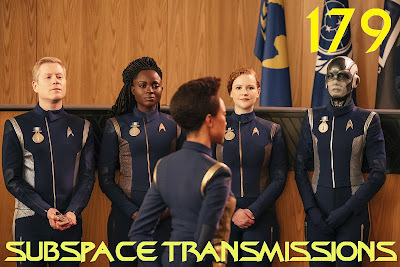 But what about the lowly ensigns; the newbies whose daily survival and success depends on the seasoned braintrust running the ship or station? 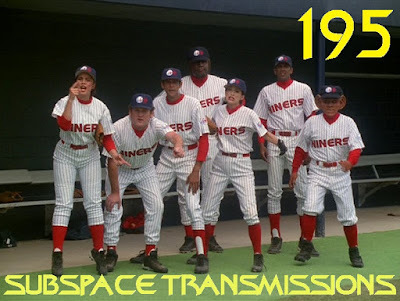 This week hosts Cam Smith and Tyler Orton remove a few pips from their uniforms in order to hang out on the lower decks and determine which beloved junior officers have the right stuff. 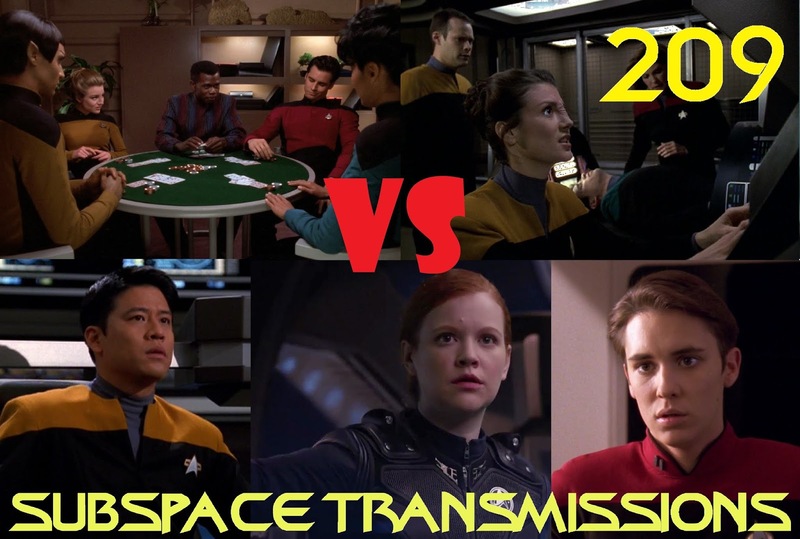 Beginning with critical breakdowns of TNG's Lower Decks and Voyager's The Good Shepherd, the duo segue into an elimination round extravaganza pitting these eager fresh-faced hopefuls against each other in order to determine who reigns supreme and deserves a major promotion! From iconic faves like Wesley Crusher, Pavel Chekov, Hoshi Sato and Harry Kim to memorable guest stars Sito Jaxa and Taurik, there's no shortage of options and plenty of fun-filled debate to be had! Although DS9 is generally considered the crown-holder when it comes to dark Trek stories, the good ship Voyager also saw its fare share of morally murky and extreme confrontations. So what happened when, during the fifth season finale/sixth season premiere, the writers pitted Starfleet against Starfleet in the Delta Quadrant? 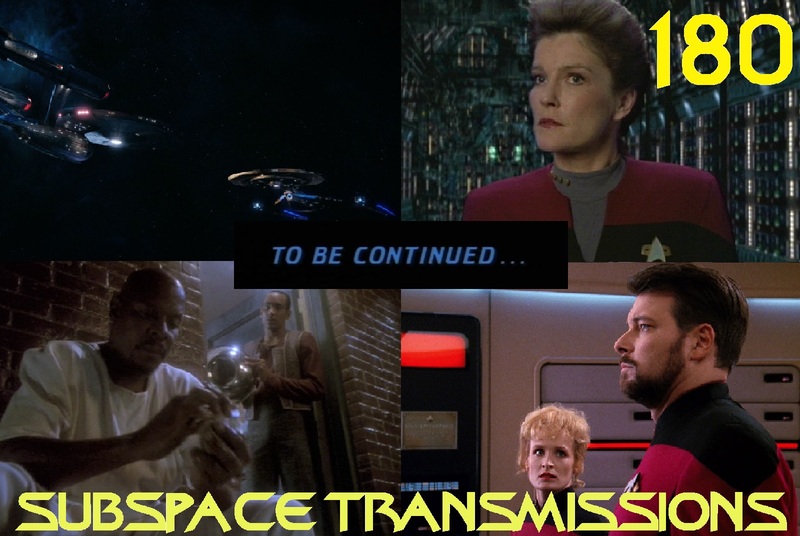 This week hosts Cam Smith and Tyler Orton battle the urge to break into song while revisiting the memorable Equinox two-parter, which sees Janeway channeling her inner Ahab while pursuing rogue captain Rudy Ransom and his desperate, corrupted crew. 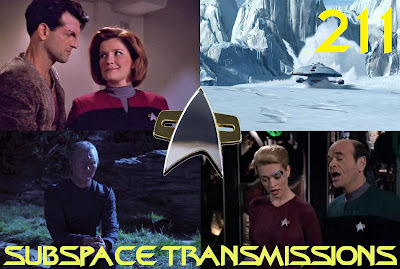 Although not as lauded among fans as Scorpion or Year of Hell, there's plenty of fodder for discussion, as the duo grapple with serious Janeway and Chakotay friction, John Savage's intense guest star performance, curious lunch menu-themed nicknames and one particularly nagging question: is the Equinox's dramatic journey a better realization of the show's juicy premise than what Voyager delivered??? 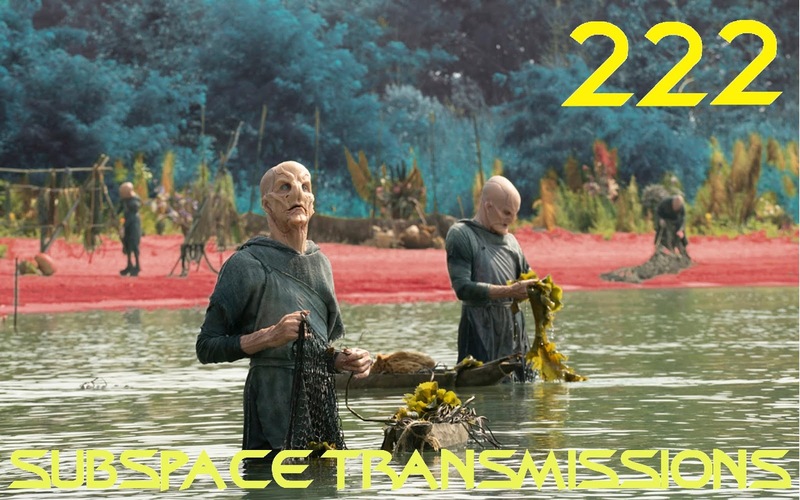 #207 - WHY IS PICARD SO IMPORTANT TO STAR TREK? Okay, so the Jean-Luc Picard spin-off series is official. And Patrick Stewart is on board. But what sources of inspiration beyond the obvious greatest hits should the show's creative team be drawing from? 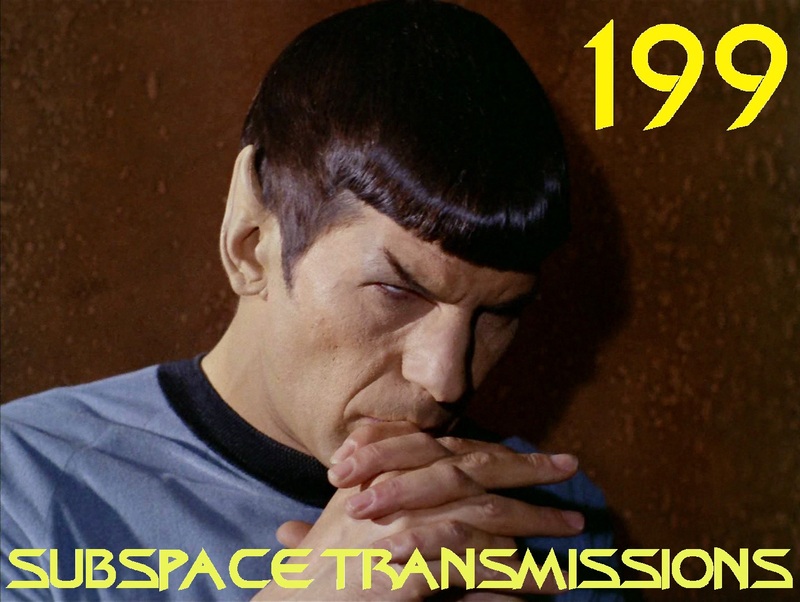 This week hosts Cam Smith and Tyler Orton, along with special guest Penny Daflos of the BTS with CTV News Vancouver podcast, get contemplative as they ponder why exactly the legendary captain of the Enterprises D and E is so incredibly crucial to the enduring spirit of Roddenberry's universe. 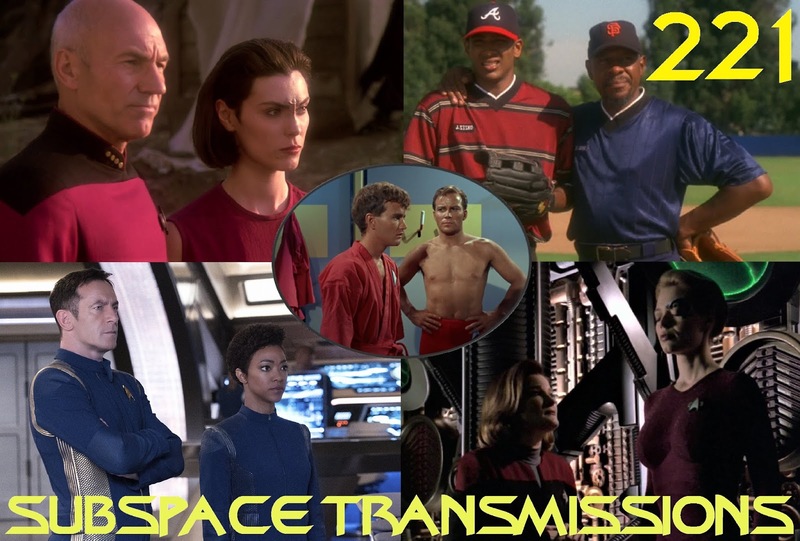 In addition to debating some fun potential story elements, the trio dig into the character's rich back catalogue for key episodes, both great and underrated, that Alex Kurtzman and his crew may want to take a second look at in order to avoid the second coming of Nemesis' Dune Buggy Picard! One of the Star Trek franchise's most compelling joys is its knack for forging fun and unforgettable relationships: Kirk and Spock, Jadzia and Worf, Geordi and Data, and so on and so forth. However, with such an immense cast of players more than a couple promising potential pairings were destined to wind up left on the sidelines. This week hosts Cam Smith and Tyler Orton take a break from their 3D chess and aerobics classes in order to highlight the most frustrating missed opportunities from each of the six series. From the often under-represented Troi/Crusher friendship, to intriguing brief bonds between T'Pol & Hoshi and Captain Kirk & Janice Rand, the duo champion the great professional and personal connections that never really were, and offer their advice on which dynamics they'd like to see Discovery boost in season 2! Sure, this month's STLV convention was awesomely unforgettable. But it wasn't the only exciting Trek-related event unfolding in Las Vegas recently! This week regale as trusted host with the most Cam Smith, aided by trusty scorekeeper Scott Hardy, thrillingly oversee the third annual Klingon Bloodwine Games, the world's most grueling Star Trek gameshow designed to break all but the most knowledgeable students of Roddenberry's universe. Recorded live in Sin City, this year's competition sees aspiring champions Tyler Orton, Allison Miller & Jay Gammill battling their way through four highly energetic, brain-busting rounds of trivia, geeky improvisation and more! So tune in and find out which player achieves Subspace-sponsored glory and the bountiful prizes that accompany this lofty honor! 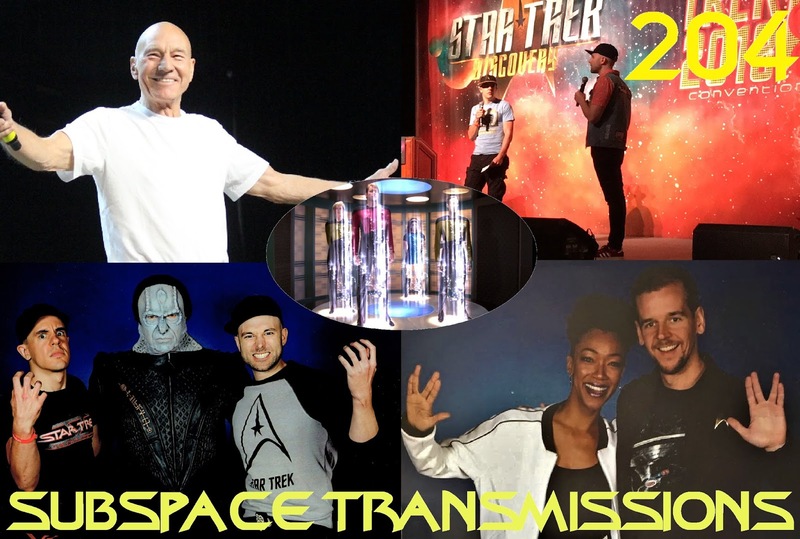 As you no doubt heard, Creation's 2018 Star Trek Las Vegas convention made major waves last weekend when surprise guest Patrick Stewart announced the impending return of Jean-Luc Picard to thunderous applause! So what was it like to be in the room for this legendary occurrence, and what other momentous happenings transpired during the five-day event? 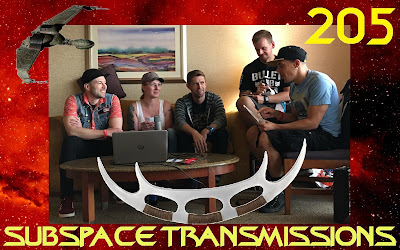 This week hosts Cam Smith and Tyler Orton, along with special guest Scott Hardy, battle off exhaustion just long enough to fill you in on all the crucial highlights from Trekdom's most celebrated gathering. 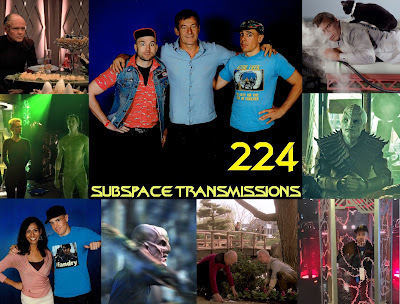 From STLV's major Discovery presence, to DS9's 25th anniversary and even an Outrageous Okona tribute (?! ), the trio wrap up the year's best party with their fondest recollections and plenty of unabashed geek-out moments. 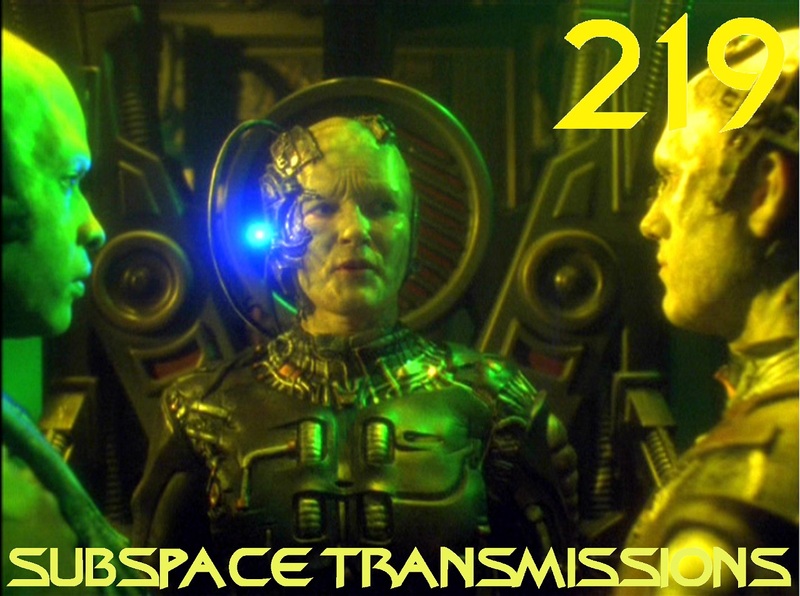 In 1997 Voyager scored one of its all time great highpoints ever with the Borg-centric two-parter Scorpion. But did lightning strike twice when the show's creative forces decided to return to the well during February sweeps a couple years later? 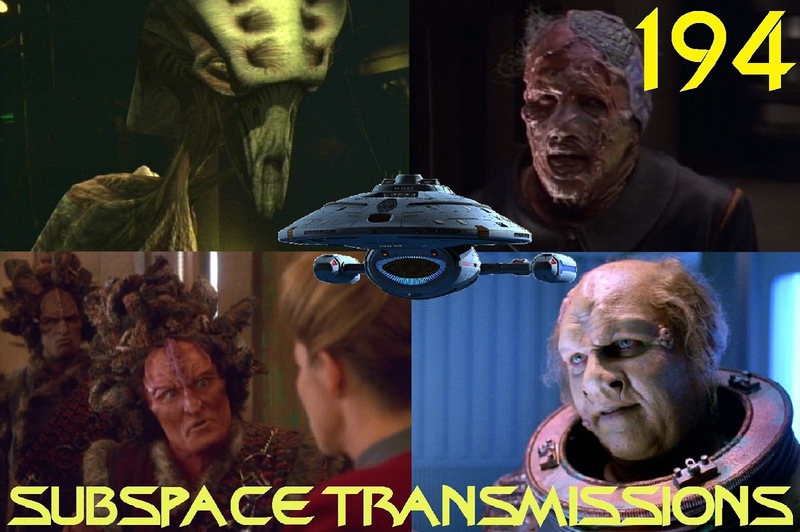 This week hosts Cam Smith and Tyler Orton hop in their time-travelling diamond ship and head back to 1999 in order to revisit the popular feature-length epic tale Dark Frontier, which transported First Contact's Borg Queen into the television realm. Over the course of this energetic review the duo ponder the cybernetic species' dubious philosophy, Seven and her dueling symbolic mother figures and whether Caucasian male underwear models best represent the entire spectrum of humanity. As unlikely as the prospect once seemed, a Captain Picard spin-off starring Patrick Stewart is now a very real possibility in the near future. But is it a good idea? 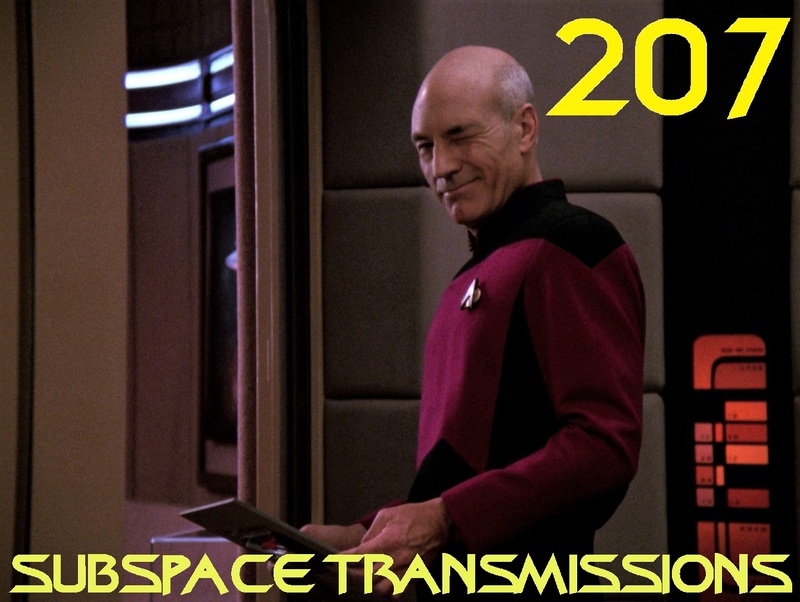 This week hosts Cam Smith and Tyler Orton, along with special guest Carmin Carotenuto of the Adventure.exe podcast, debate the creative and financial reasons why the return of Jean-Luc Picard makes sense, as well as confess their concerns about the potential end result. In addition to predicting which TNG castmates may pop in for cameos, the trio also ponder other rumored CBS All Access projects featuring Starfleet Academy and Khan, as well as a second kid-oriented animated venture. 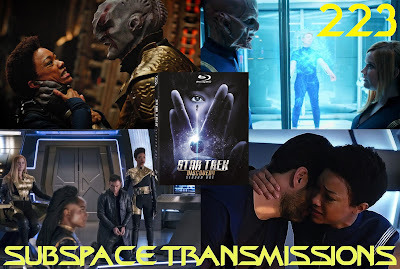 Plus, as an added bonus, the gang reviews Discovery's season two Comic-Con trailer! 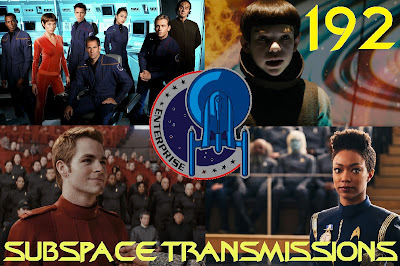 Ever since Discovery teased looming possibilities for the franchise's favorite controversial covert spy agency Section 31, debate has begun anew regarding whether or not this element of canon suits the Roddenberry philosophy. As cool as these stories can be, do they belong in a utopia? This week hosts Cam Smith and Tyler Orton dust off their best fedoras and trenchcoats in order to delve into Trek's surprisingly long history of cloak and dagger tactics. 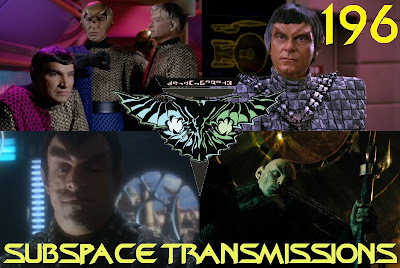 From the Romulan-headed Tal Shiar, to Cardassia's Obsidian Order all the way down to 31, the duo do their darndest to track the evolution of these often twisty tales and consider the potential pitfalls future series may want to watch out for before shining up their black badges. When you're celebrating a podcast anniversary you have to go big! 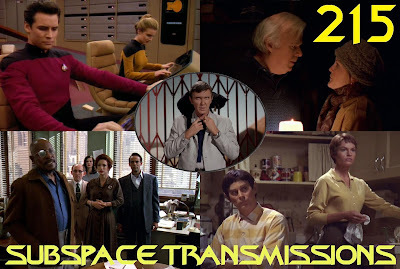 And what better (and more suitably controversial) way to mark a momentous 200th episode than with the hottest topic in all of Trekdom? This week hosts Cam Smith and Tyler Orton don party hats and toss confetti while counting down their picks of the ten greatest stories in the history of the franchise. From Kirk and Spock's tragic trip through the Guardian of Forever, to the creepy debut of Locutus and Jake Sisko's tear-inducing alternate future, the duo sing the praises of the unforgettable sci-fi hours that made Roddenberry's universe as popular and powerful as it is. 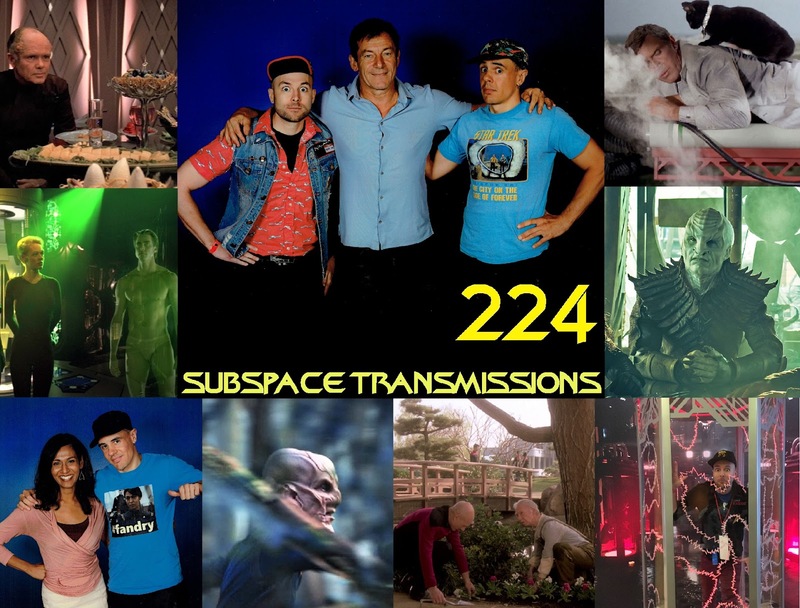 Plus, as an added milestone-worthy bonus, the two fondly recall their favorite Subspace Transmissions installments from the past couple years. 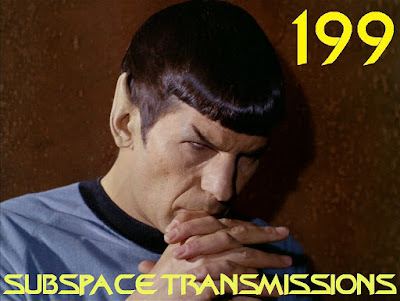 Ever since being introduced in TOS's iconic second season premiere Amok Time, the mating ritual of pon farr has become both a key component of Vulcan mythology as well as an ultra-popular source of humor among fans. But does the franchise's approach to this oft-referenced biological event need to change with the times? 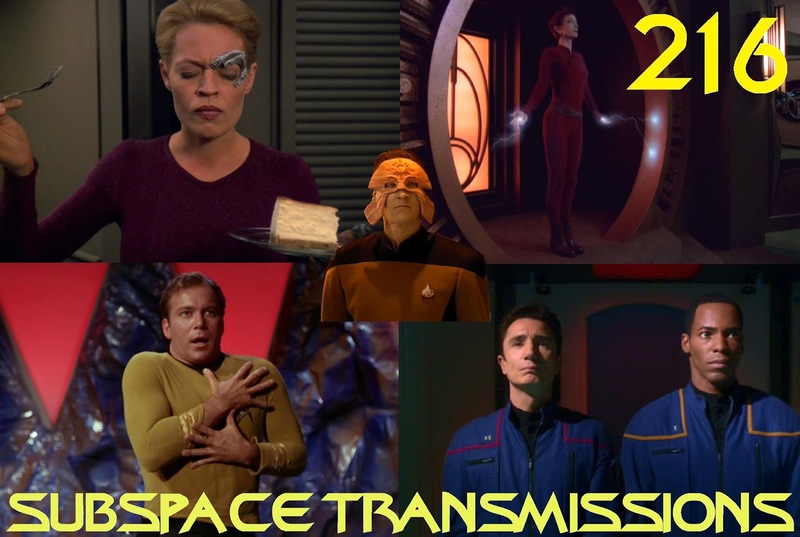 This week hosts Cam Smith and Tyler Orton throw their soup against the wall as they examine several key episodes involving the dreaded seven-year spell and break down what works and what doesn't for current-day audiences. 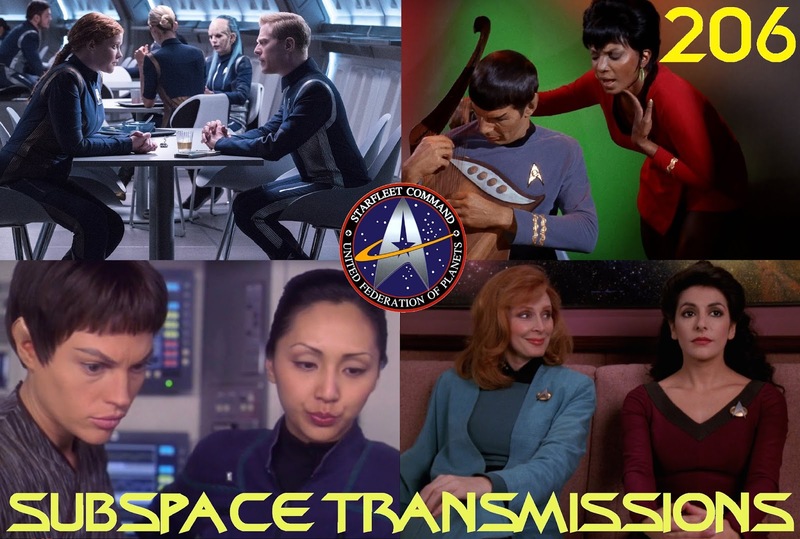 From Spock's legendary duel for T'Pring's hand, to B'Elanna Torres's highly problematic blood fever experience, the duo debate how future storytellers might best navigate this tricky go-to Star Trek trope. Vulcans. Klingons. Romulans. Orions. Since the dawn of Roddenberry's universe the creative minds tasked with populating it have tirelessly sought to fill the Alpha Quadrant with countless fascinating, layered and compelling alien denizens guaranteed to goose dramatic potential. But what about Voyager, the show that dared to begin with a blank page and build its own world? This week hosts Cam Smith and Tyler Orton follow the Caretaker's directions right back to the Delta Quadrant in order to analyze the most memorable species to cross Captain Janeway and crew's path. 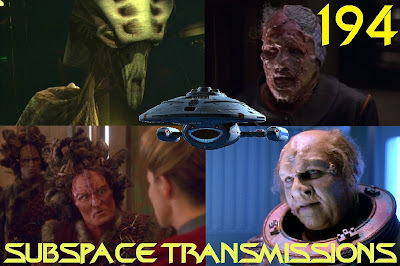 From early stand-outs the Kazon and the Vidiians, to Trek's first all-CG race Species 8472 and the waste-dumping Malon, the duo debate which of these original creations worked, and whether any of them would ever be worth revisiting in the future. Plus, as an added bonus, the hosts jump over to a galaxy far, far away in order to provide their non-spoilery thoughts on Solo: A Star Wars Story. Regardless of overall quality, it's tough to argue against the inherent strength of Voyager's central premise. A crew lost in the wilderness trying to find its way home while overcoming adversity both internal and external? Bursting with dramatic potential! And although most regular episodes fell short of exploiting this concept, the two-parters were another story. This week hosts Cam Smith and Tyler Orton, along with special guest Janine Smith, stare longingly at their antique pocket watches while revisiting the tremendous Year of Hell saga, arguably Captain Janeway's most punishing and traumatic challenge as a leader. 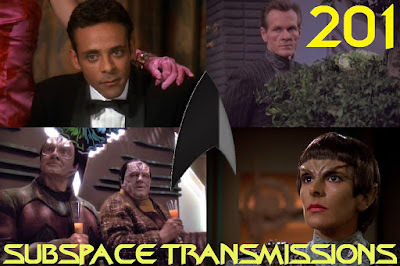 In addition to breaking down the well-known story elements of this hard-hitting fourth season highlight, the trio also discuss Annorax's similarities to classic Bond villains, the series' woefully underexplored Tuvok/Seven dynamic and the alleged sexiness of Tom Paris. Enjoy! 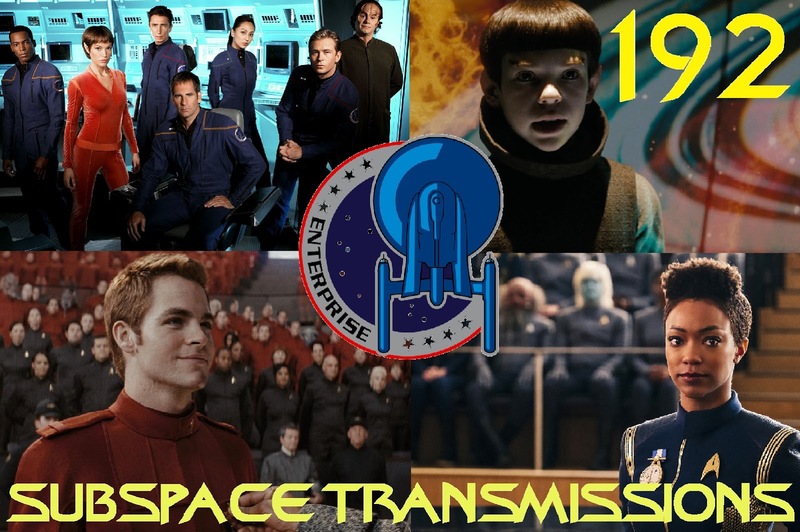 #192 - DOES STAR TREK HAVE A PREQUEL PROBLEM? Although there's been plenty of new Trek adventures over the last 15-plus years little attempt has been made to properly develop a future beyond Nemesis, which hit theatres waaaaay back in Winter 2002. Is this a cause for concern? 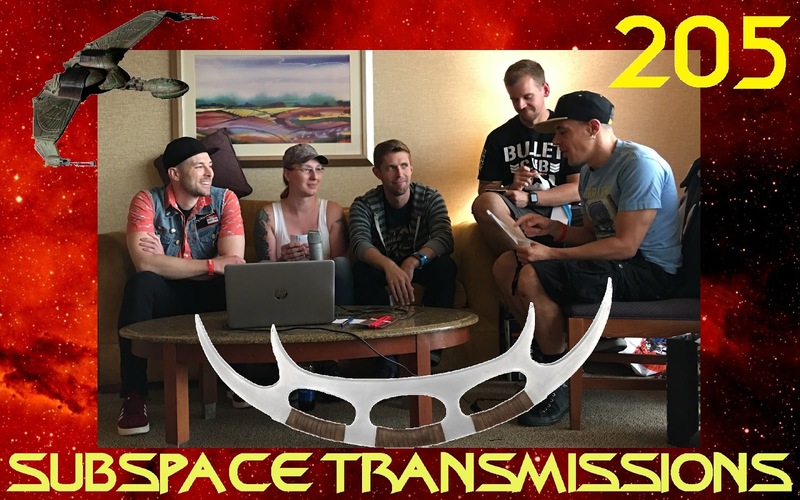 This week hosts Cam Smith and Tyler Orton, along with special guest Taylor Ramone of Vancouver's premiere nerd bar Storm Crow, analyze the franchise's ongoing obsession with prequel storytelling, which began with the (post-Phantom Menace) launch of Enterprise and continues to this very day with Discovery. By continually looking backwards are those overseeing the franchise still able to spin vital and exciting tales befitting the brand? 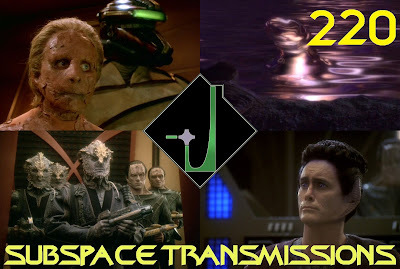 And how successful have the two most recent series, along with J.J. Abrams' Kelvin-verse movies, been at properly leading into or evoking the classic episodes and films set further down the timeline? Plus, the trio offer their hopes for where they'd like to see Star Trek go if it ever manages to journey past the 24th century. Since the franchise's earliest days there's been a proud tradition of recycling character actors under heavy alien makeup. 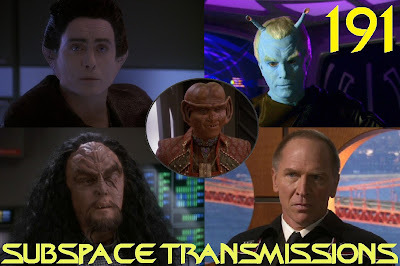 And while many proud individuals have inhabited multiple personas, nobody's done it better than Mr. Jeffrey Combs. This week hosts Cam Smith and Tyler Orton undergo several costume changes while taking a look at the actor's many unforgettable creations, from modest early beginnings as a pervy creep in the DS9 episode Meridian, to fan-fave icons Weyoun and Shran. In addition, the duo also celebrate the contributions of Combs' fellow 'Men & Women of a thousand Trek faces' including J.G. Hertzler, Vaughn Armstrong, Tony Todd and Susanna Thompson, and determine which species they should portray on Discovery and beyond. 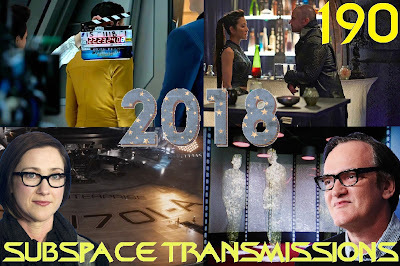 At this time last year fandom was waiting with bated breath to experience its first new season of TV Trek in over a decade. And boy was it exciting! But now that Discovery has finished its inaugural run how are we feeling about the future of Roddenberry's universe? This week hosts Cam Smith and Tyler Orton suit up in vibrant new Constellation-class uniforms in order to hold their annual forum on the state of our beloved franchise. 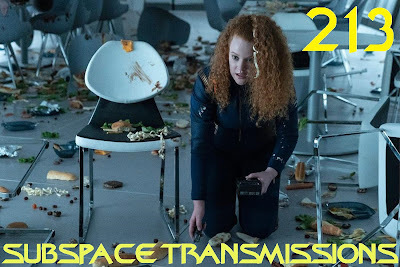 What can we hope to see when DSC returns, and how successful is its recently dropped season 2 teaser at building hype? The duo also check in with the movie-verse, and the two big screen projects currently under development from Quentin Tarantino and S.J. Clarkson, as well as weigh in on potential merch opportunities and more! Roughly a year ago we examined the franchise's most tragically short-lived characters, but what about those who just arrived late to the party? 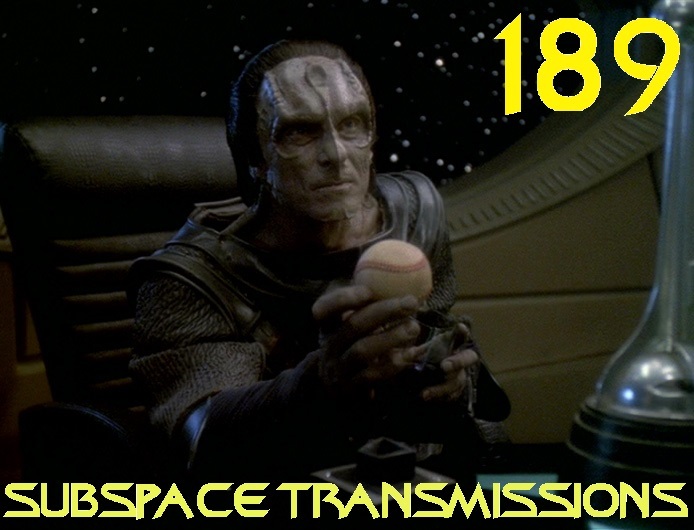 This week half-shaven hosts Cam Smith and Tyler Orton race frantically to their microphones in order to roll-call the most significant show-altering afterthought additions to Trek-dom. 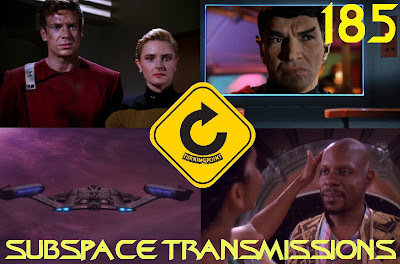 From TOS's mop-topped Russian heartthrob, to no-nonsense TNG players Dr. Katherine Pulaski and Ensign Ro Laren, and attention-grabbing fourth season all-stars Worf and Seven of Nine, the duo Chekov check off all the unforgettable names that helped change up their respective corners of Roddenberry's universe. Plus, as an added bonus, Cam reviews the third issue of IDW's four-part The Light of Kahless comic-book arc. Back in the 1990 Star Trek: The Next Generation unleashed a massive shockwave with its now iconic season 3 finale Best of Both Worlds Pt. 1. 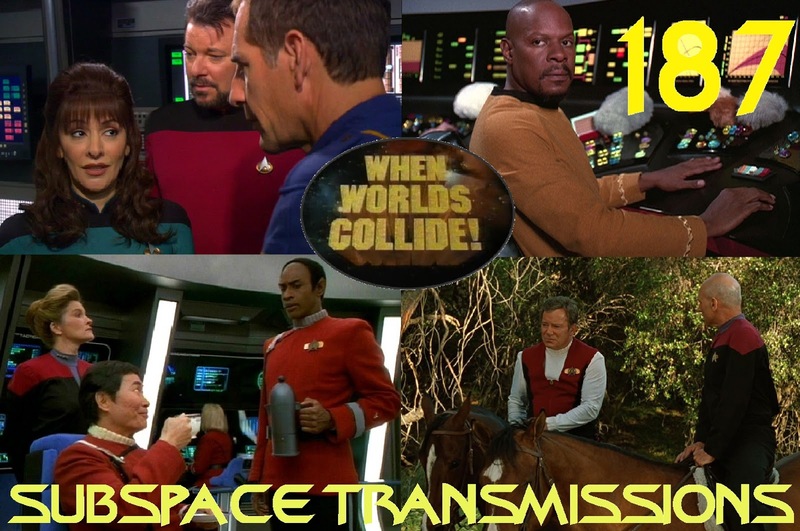 The huge success of that episode, and it's fourth season conclusion, established a high water mark the various series have attempted to replicate ever since. This week hosts Cam Smith and Tyler Orton, along with special guest Dale Deruiter of the Outrage Factory podcast, weigh the pros and cons of making a deal with the devil while revisiting Scorpion, Voyager's most obvious attempt to recapture the magic of the legendary Locutus saga. 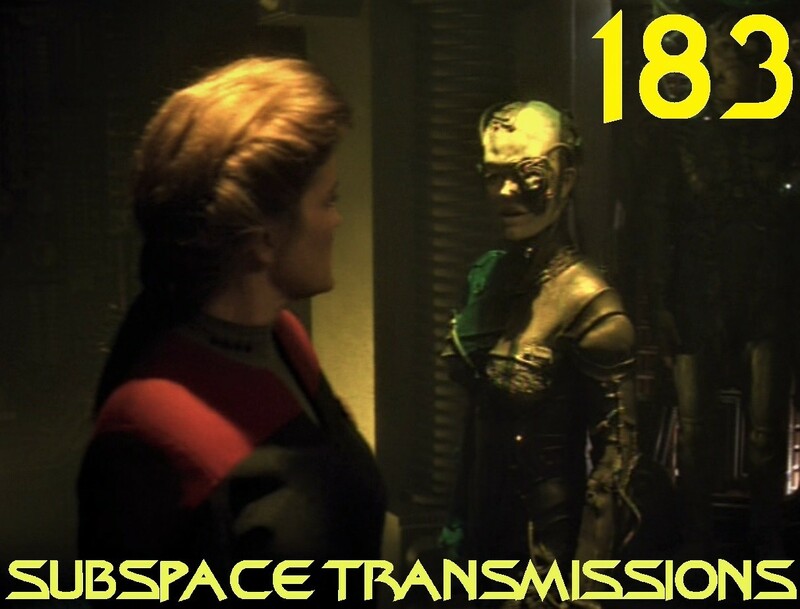 Bringing the Borg back in a big, bad way, as well as ushering in an all-new unstoppable adversary, the two-parter also introduces 7 of 9, sets up the departure of Kes and pits Janeway against Chakotay in a tense debate over the fate of the crew. 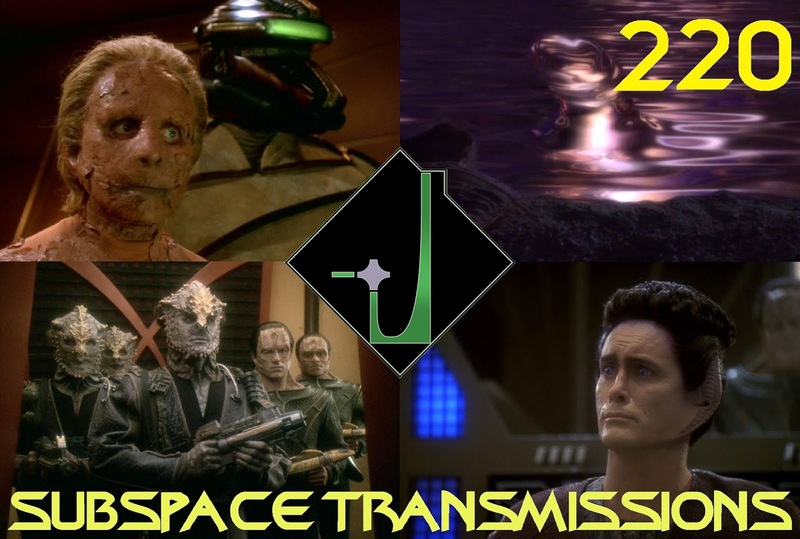 Listen in as the trio discuss all of these key points, as well as consider the merits of television-grade CG, struggle to determine the show's most disposable character and toss out nerdy 90's references. Trek fans have long joked about the franchise's lengthy catalogue of renegade admirals and off-the-rails captains. But who among the many most egregiously exploited or perverted Starfleet values to pursue their own end? This week hosts Cam Smith and Tyler Orton sip from their "World's Worst Employee" mugs while pitting the organization's most notorious names against each other in a grand tournament of workplace ineptitude. 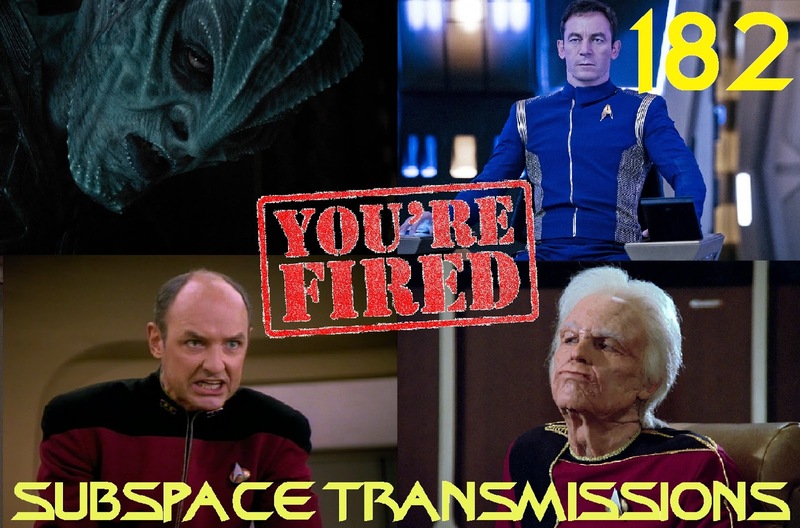 From high-ranking figures like The Pegasus's Admiral Pressman, Discovery's Mirror Universe imposter captain and dastardly Delta Quadrant survivalist Rudy Ransom, to lowly cadet louses Nick Locarno and Riley Shepard, there's definitely no shortage of candidates to choose from! So tune in as the duo strive, through an intense process of elimination, to crown the biggest loser of the woeful bunch. 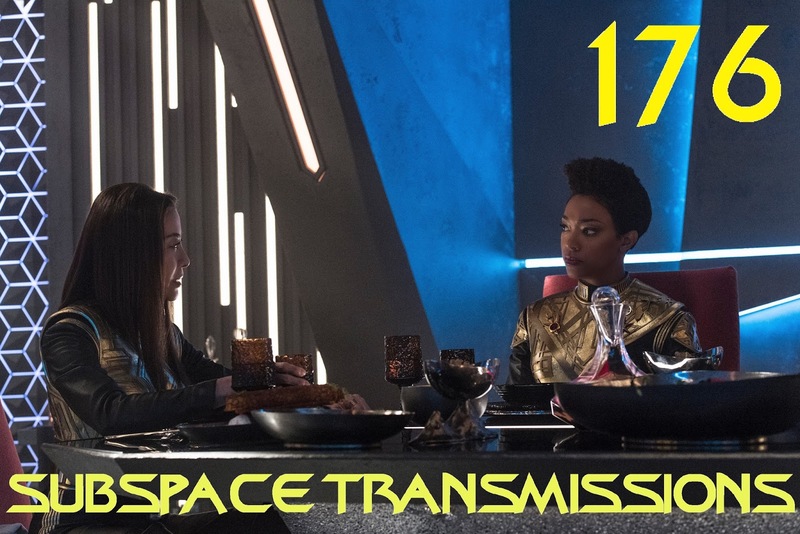 #181 - STAR TREK: DISCOVERY: BEST FIRST SEASON EVER? While it's tough to argue Discovery's inaugural season was perfect smooth sailing, it did ultimately prove highly effective at kick-starting fan excitement anew. But how does its first run of episodes stack up against the classic series that paved the way for it? This week hosts Cam Smith and Tyler Orton, along with torchbearing guest David Borys of the Cool Canadian History podcast, break down the flashy season that was, from favorite moments and characters to nagging story and filmmaking criticisms. Did the Klingon redesigns serve their purpose and justify the extensive effort? How does the Klingon war match up against the Dominion and Xindi arcs? 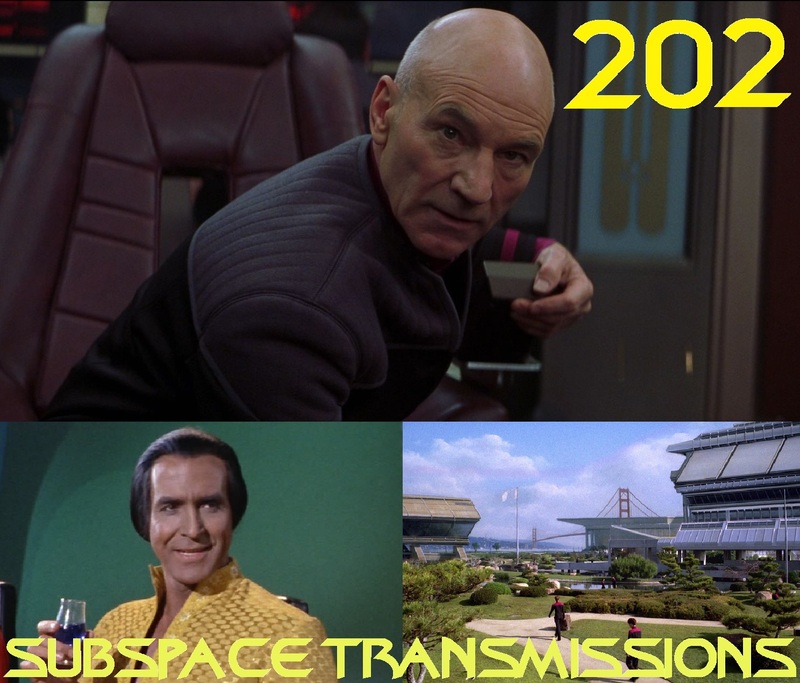 And what type of course should the NCC-1031 set for 2019? There's a lot to unpack here, as the trio valiantly strive to sum up their definitive thoughts and feelings on Trek's frequently surprising, thrilling and unpredictable return to weekly must-see TV status. 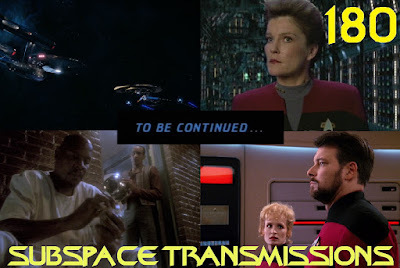 With everyone buzzing about the surprise appearance of the NCC-1701 at the close of Discovery's season finale, now seems like a fantastic time to reflect on Trek's rich history of cliffhanger endings. Certainly Best of Both Worlds is the high water mark for most, but does it still stand supreme? This week hosts Cam Smith and Tyler Orton champion the merits of mystery and anticipation while naming off both their favorite and least favorite "To be Continued..." moments. From the exhilarating, fist-pumping triumphs of Locutus's viewscreen debut and Sisko's baseball message to Dukat, to the eye-rolling anti-hype of Chakotay evading security guards and Worf being trapped in a Klingon vacation prison, the duo reveal their very unique preferences when it comes to abruptly delayed gratification. Well guys, here we are: at the eventful end of the inaugural season of Trek's first new series in over a decade. Discovery's lift off was reasonably strong, but how fared the landing? This week hosts Cam Smith and Tyler Orton paint themselves Orion green in order to delve into the very busy and course-altering wrap-up to the Klingon War story arc. 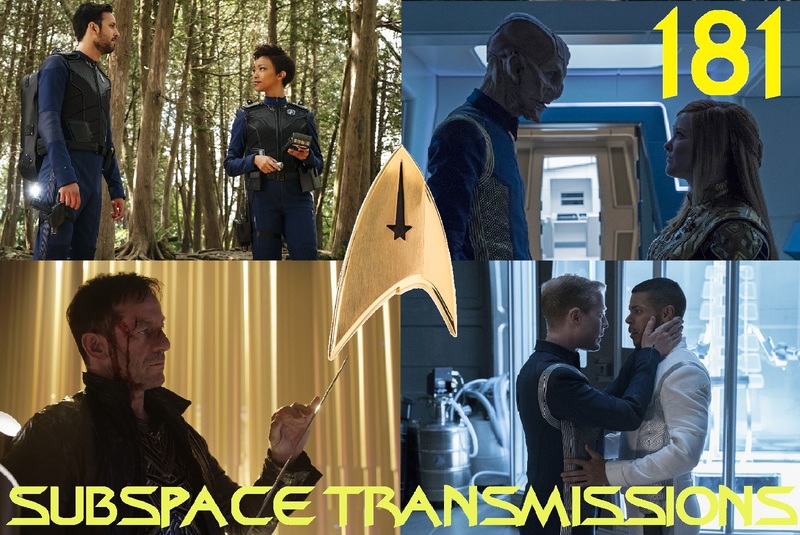 From L'Rell's often head-scratching journey, to Emperor Georgiou and Ash Tyler resolutions and Burnham's painfully long-coming catharsis, the duo break down all of the major moments. They also offer insight into where future roads could take the characters, as well as geek out big-time over the show's nostalgia-fanning cliffhanger close. It's been one wild journey, so settle in for some engaging post-show chatter! If Discovery was aiming for a bit of calm before the big finale storm, this episode sure was low on the tranquility scale! But was that for the better or worse? This week hosts Cam Smith and Tyler Orton, along with special guest Dale Deruiter of the Outrage Factory podcast, dive into the character-heavy penultimate chapter in the show's inaugural season, the ominously titled The War Without, The War Within. Practically bursting with major dramatic moments involving Burnham, Tyler, Stamets, Sarek, Mirror Georgiou, Admiral Cornwell and L'Rell, the episode offers plenty of fodder for the trio to obsessively mull over. Will there be a place for our tortured former security chief in season 2? What is fallen Emperor Georgiou's dubious game plan? And does anyone really care that Lorca is gone?! All these lingering questions, and many others, fuel this mighty energetic hour of Star Trek discussion. Plus, as an added bonus, Cam reviews the second issue of IDW's "The Light of Kahless" comic-book arc, and Tyler & Dale offer their thoughts on the new sci-fi Netflix series Altered Carbon. Judging from passionate online discussions, Vaulting Ambition's bombshell Lorca twist proved a polarizing creative decision. But was it, at the very least, all for the greater good of the Mirror Universe arc? This week hosts Cam Smith and Tyler Orton, along with special guest Penny Daflos, don leatherjackets and wield sharp swords while debating the ramifications of this week's explosive, series-altering episode, What's Past is Prologue. 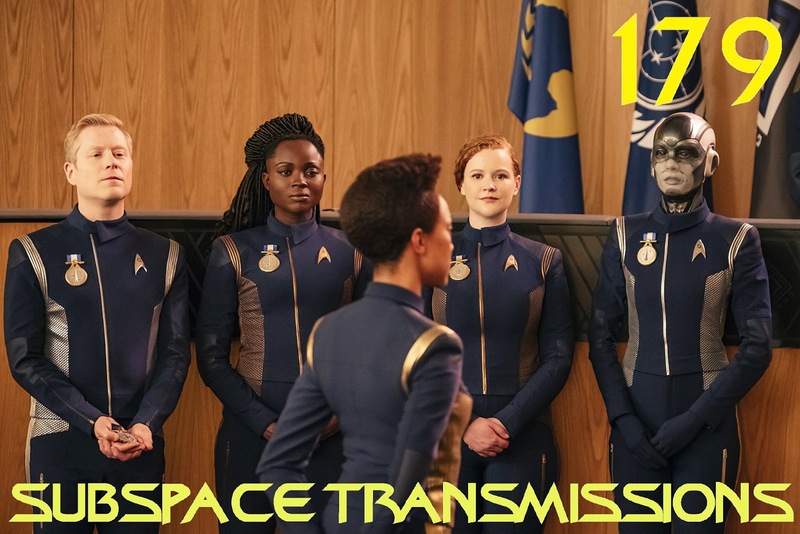 Over the course of a fun hour-long conversation the trio determine whether they'd rather be ruled by Lorca or Emperor Georgiou, ponder how satisfying these two key characters' journeys have been, and cast their gaze towards a future where Saru proudly sits in the big chair. Plus, unlikely connections to He-Man and the Fast & the Furious franchise are made. So, how about that Ty'Voq/Voqler twist! Can't imagine the Discovery writers having any bigger revelations in their back pocket than that in season one, right? Oh wait...! 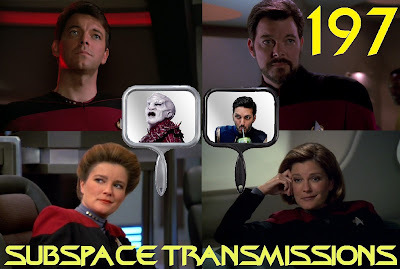 This week hosts Cam Smith and Tyler Orton shake off the lingering shock of The Wolf Inside in order to tackle the hugely impactful events of the show's latest foray into the ever-mysterious Mirror Universe. Given Vaulting Ambition's big time (and likely controversial) Lorca bombshell, as well as its touching Stamets/Culber reunion and tense Burnham/Emperor Georgiou mommy issues, there's no shortage of food (!) for thought. So join in the fun as the duo break down all of the foundation-rocking happenings in suitably agonizing detail, and question how successfully the show's story swerves hold up to close scrutiny. After the crowd-pleasing highs of Despite Yourself last week (Captain Killy ftw! ), we're about due for some downtime in the Mirror Universe, right? Not so fast! 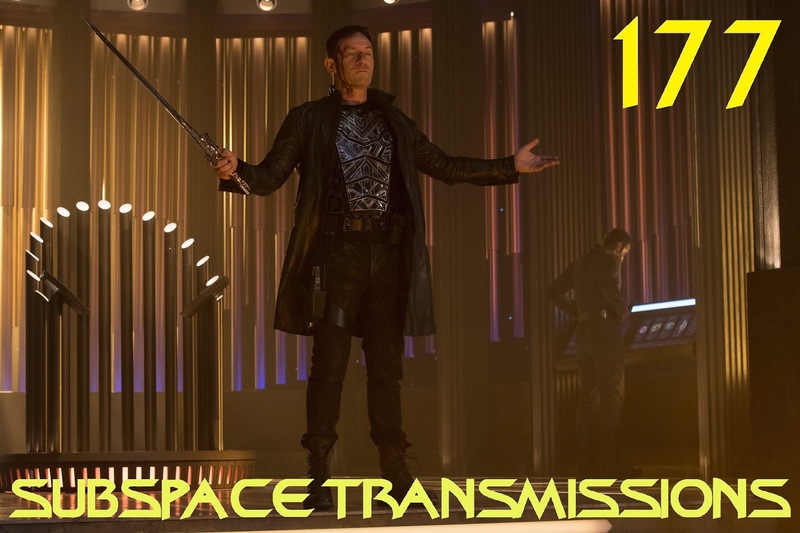 This week hosts Cam Smith and Tyler Orton, along with special guest Janine Smith, pledge allegiance to the glorious Emperor and grapple with the latest epic shakeup in the Discovery universe! 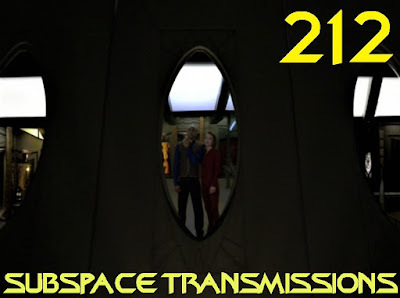 For not only does the show's latest thrilling hour offer up new takes on the Andorians and the Tellarites, it also at last pays off the mystery surrounding frequently conflicted security officer Ash Tyler. 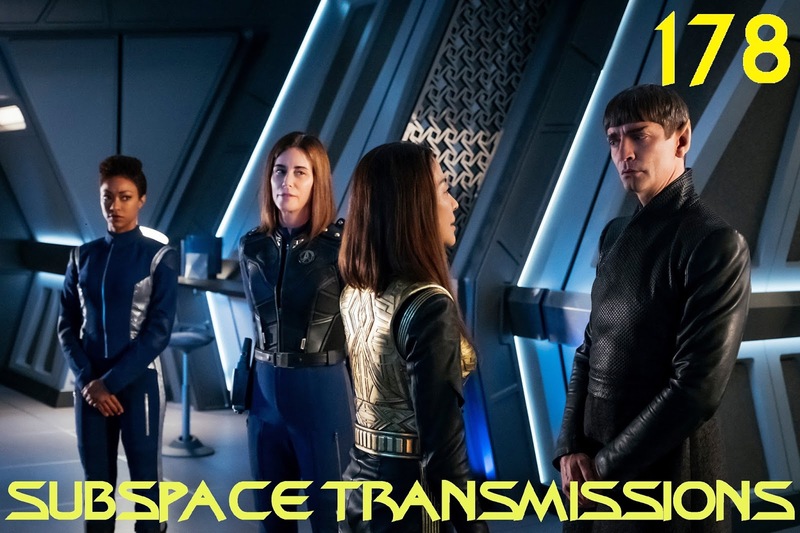 In addition to discussing the ramifications of these major happenings, the trio also ponder the future of poor Stamets, the vagaries of L'Rell's plan and the comic possibilities of DSC's cumbersome new Klingon accent.